When I arrived back home in the UK from Australia and New Zealand on the second last day of 2016 I experienced such a wide spectrum of different emotions from excitement and happiness to complete overwhelm and anxiety. When I left home in Scotland in August 2016 for the road, I had no idea where I was going, but I knew that I needed to create a life somewhere new, I felt stagnant and uninspired in the town where I grew up and I was tired of the city I had come to call home – I wanted to be surrounded by nature and to live more simply and sustainably. I spent the first part of 2017 mostly on the road. I drove my campervan down to my partner’s artist studio in London where I stayed awhile and we spent a lot of the summer travelling South East England in the van. I started volunteering at a tree nursery and found solace from the concrete jungle of London in the parks, woodlands and beaches nearby. That summer felt like freedom. There were definitely hard parts, we didn’t have much money and we didn’t know where we would live or what we would do when the summer ended which created anxiety, but we were rich in love and sun-soaked afternoons and for a time it was more than enough. It was something I used to romanticise – being nomadic – and there were certainly many beautiful parts, but I missed having all of my things in one place – living between a suitcase and a van wasn’t always what I imagined it might be. As summer went on our thoughts turned to what we would do in the winter and the very real prospect of having no home from August onwards except for the van begun to weigh heavy on us. Chris had to vacate his live/work artist studio and I had no other option except go back to Scotland and move in with family which felt like going backwards. The houseboat idea came serendipitously to us, it was unexpected and unplanned but somehow all fell into place perfectly (although not without some stressful moments). There were so many reasons that it made sense, from practical things like location and finances, to our shared love for being close to the water, but above all I love the adventure of living on a boat and having the freedom to move around wherever we choose rather than being in a fixed location. Just like living in the van, but bigger and more viable long term. The perfect boat also came to us through a combination of luck and many hours spent trawling the internet. After only looking at a couple of boats in person we knew straight away when we saw her that she was the one. The only problem was she was in Lancashire and we were in London, so we had to figure out a way to move her – a long story for another time. Writing here now from our dining table on the boat in front of the wood burning fire it feels like we have come a long way since this time seven months ago, both in terms of physical distance and also in learning and experiencing. It also feels like there is a long way to go before we get everything exactly as we want it and settle in and figure out what we are doing. Owning and driving and looking after a boat is a lot more work than I imagined and we are constantly learning new things. The deeper lesson that I seem to keep stumbling upon more than anything though over the last few years is to trust in life, in the universe, because ultimately things do work out, even if from where you are standing now it is almost impossible to see. I would never have envisioned myself living on a boat near London a few years ago but life takes us down some unexpected roads and sometimes we have to trust that things are all happening for a reason and it might not make sense right now but one day we will be able to see the gifts hidden in the transitional and difficult times. “Often change can catch us off guard. It comes like a gust of strong wind and blows away the ideas and structures we have worked so hard at building. Sitting in the rubble we tend to forget the part of us that had been crying out for this very thing. We wish we could take back our secret prayers and scramble to put back the pieces of the comfortable existence we once had. When faced with great change we must trust what comes budding forth. We must quickly release our grasp on the old and familiar in order to plant our new garden. Resisting change is futile. The longer we fight our current and therefore only reality, the longer we remain in limbo, trapped somewhere between the past and future, far from the present.” Sarah Blondin, Live Awake. Come across your blog post and had to respond. First I’m in Hampshire, southern UK, and Husband and I own a narrow boat moored in Warwickshire, near where our daughter lives. We use it as a hotel when we visit her, and take cruises during the warmer months. You’re right about the expense and work involved in maintaining a boat, but we feel it’s worth it! Where is this photo taken? I’m going to show this to Husband. He’ll definitely be interested, since his interest in narrow boating began when he was in his teens. Hi Jo! Thanks so much for your comment 🙂 It is a lot of work but I agree it is worth it! We are looking forward to spring/summer on the boat as I think we really threw ourselves in at the deep end going straight into our first winter on the boat pretty much off grid! 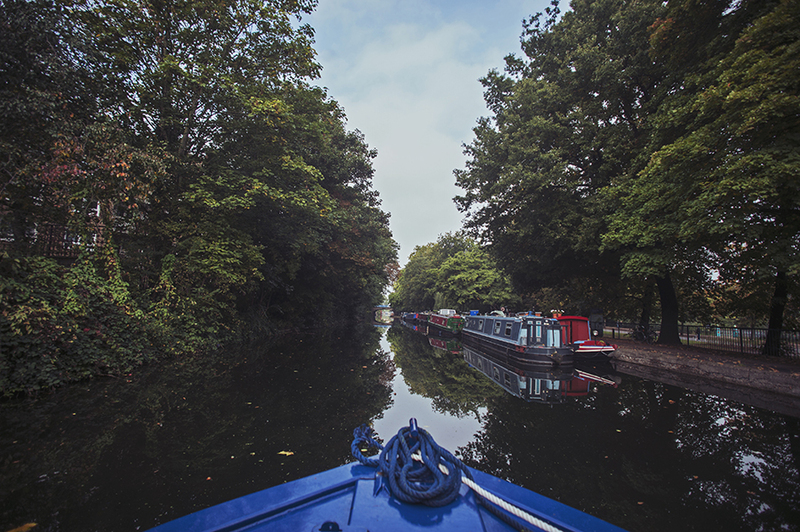 The first photo is taken on the Regents canal in central London, I can’t remember exactly where, and the bottom photo was at the beginning of our journey on the Leeds and Liverpool canal not far from Wigan. Oh Sam! This is beautifully written! 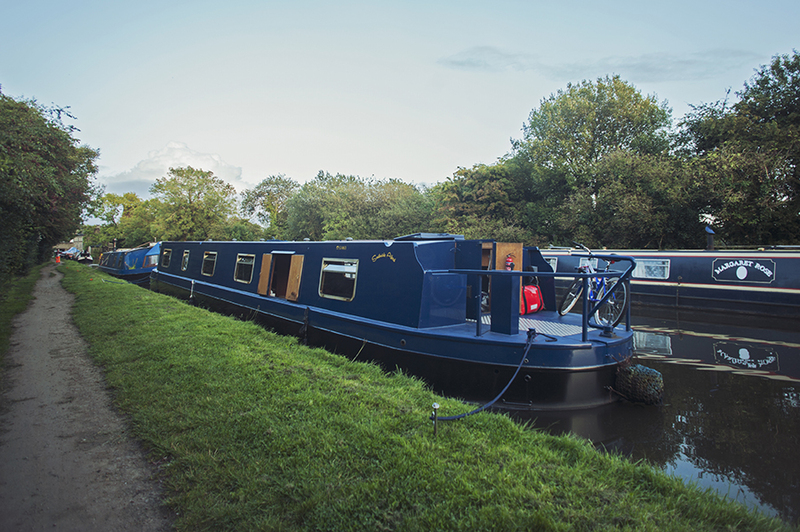 I can relate to “It was something I used to romanticise – being nomadic – and there were certainly many beautiful parts, but I missed having all of my things in one place” – and having a house boat seems to be THE IDEA! Wonderful. Love following your journey. Are you going to have a little garden on the boat as well?